We designated our Saturday in NYC solely to Brooklyn. I’ve visited Brooklyn once before when my big bro and sister-in-law lived out there, but having not been for 7 years, I arrived armed with a new list of places to explore in the borough. I can’t recommend walking over BB enough. Travel guides usually say to walk Brooklyn > Manhattan for the mighty fine view, but I loved walking the other way and turning back to soak up the Downtown skyline (and to take the odd selfie of J and me). Once over the bridge, we found ourselves in the DUMBO area, home to some ace stores and places to eat (hello Grimaldi’s Pizza) and well as the view of the Manhattan Bridge. 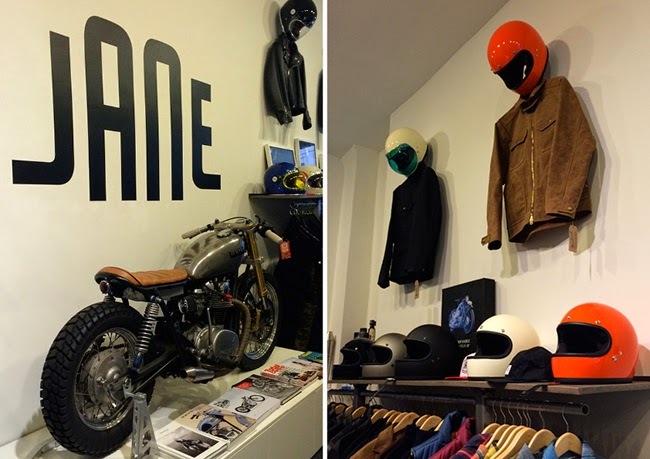 Something from Joe’s list, JANE is a coffee/motorcycle shop in one, with their own branded merch and some stellar motorcycle coffee table publications. Forget leaky exhausts and double leather garb, this is a damn cool place to visit even if you’re not into bikes with their merchandising particularly being on point. 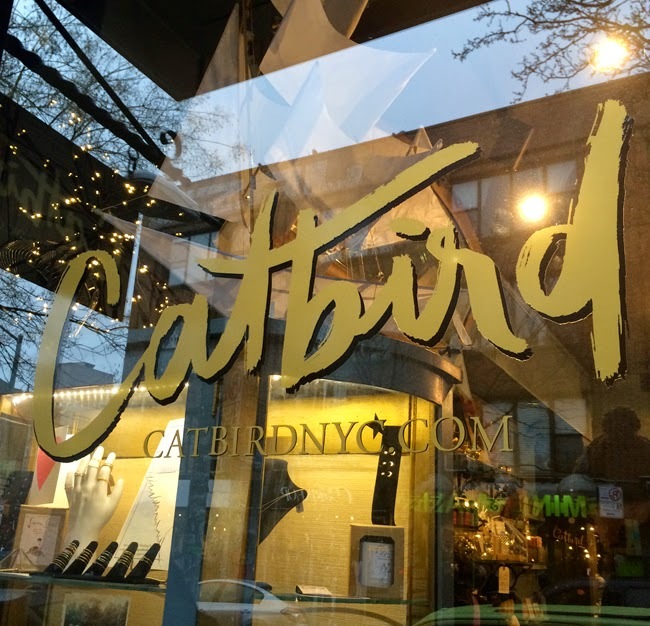 I can’t even tell you how long I’ve waited to visit the Catbird store. Like, literally, so long. Their delicate jewellery has been high on my wish list for a good couple of years, but rather than buy online, I wanted to visit the store itself. As we’d been caught in the snow, I pretty much hurled myself in the shop soaking wet (not a good look) but left armed with two of their Memory Rings in rose gold to complement my engagement ring, and their Kitten candle – a new staple scent. This old factory converted into a 90 bedroom hotel is like the Ace Hotel of Williamsburg. 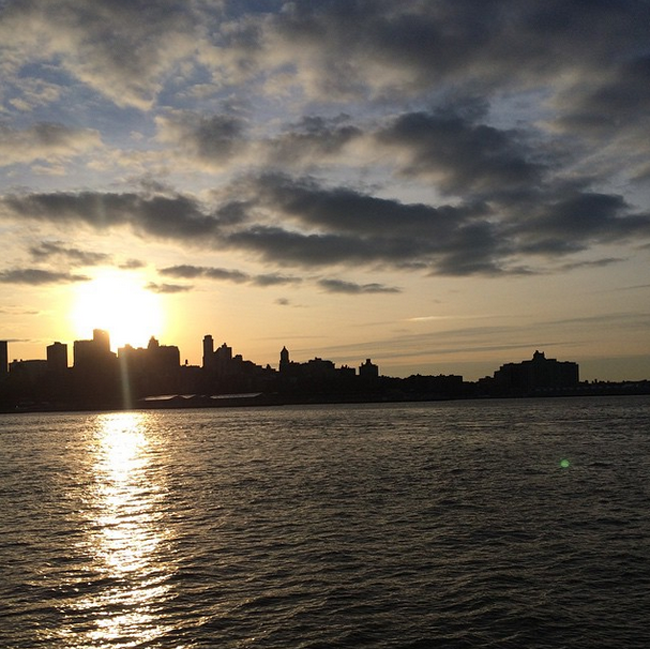 The rooftop bar, The Ides, looks out onto the East River and the Manhattan skyline. Unfortunately for us, the snow clouds hampered our view so we drowned our sorrows with a couple of dark and stormies to a Fleetwood Mac soundtrack. I can’t think of a more ideal way to spend a Saturday afternoon. Brooklyn Bowl – an ace bowling alley with a cool food and drinks area. We popped in for a bottle of Brooklyn Beer, but no lanes were free. Booking ahead is recommended. Brooklyn Brewery – right next door to Brooklyn Bowl, visit here for brewery tours, beer (obvs.) and branded merch. Tours are on a first-come, first-served basis, to get in-line early if you’re in the area. We didn’t fancy waiting in the snow so much so gave it a miss. Smorgasburg and Brooklyn Flea – the food market and flea market take place outdoors over the summer and move indoors over the colder months. They have more vendors in their two outdoor locations in summer, but it’s still definitely worth a visit to the indoor market if you’re visiting November to March, even if you’re just in the neighbourhood to visit Berg’n (a beer hall founded by Brooklyn Brewery). – Outdoor Flea and Smorgasburg (April to October) | various locations in Williamsburg, Fort Green and Brooklyn Heights. What are your top Brooklyn picks?